Slateline shingles are beautiful and can enhance your home’s curb appeal. They have bold shadow lines and tapered cut-outs that allow them to mimic the look of slate while still remaining affordable. You can also choose from many premium color blends, allowing Slateline shingles to match any kind of home and architectural style. 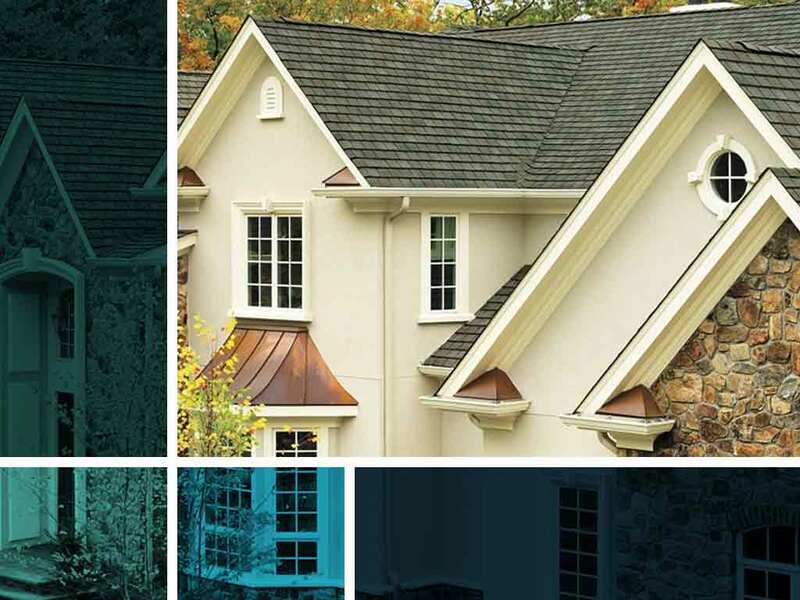 These shingles also have Dura Grip™ Adhesive seals that improve their wind resistance. In addition, they were designed with Advanced Protection® Shingle Technology to make them tougher than ordinary shingles. GAF’s Advanced Protection Shingle Technology maximizes the performance of their roofing shingles while minimizing the use of natural resources in their construction. Slateline shingles have higher ratings in granule adhesion, flexibility, toughness and wind uplift resistance compared with ordinary asphalt shingles. They are also environmentally friendly because GAF uses less limestone and asphalt during their manufacturing. GAF also makes sure that their shingles are recyclable at the end of their life span. Our Slateline shingles are an excellent choice for your roof replacement because they can perfectly mimic the appearance of a slate roof at a fraction of the price. In addition, you can rely on our shingles to protect your home from bad weather because GAF designed them to be strong and durable. You will also benefit from some of the best roofing warranties in the industry. As a GAF Master Elite® contractor, we can offer you the best warranty GAF has. You can rely on us for all of your roof replacement and roof repair needs because we have served local homeowners for decades. We also know that our business relies on maintaining our excellent reputation, so we always do our best on every project we work on. Call us at (877) 494-0377 to learn more about our services and products or to request a free in-home consultation and estimate. We serve Newark, Middletown, Bear and many other areas in DE.